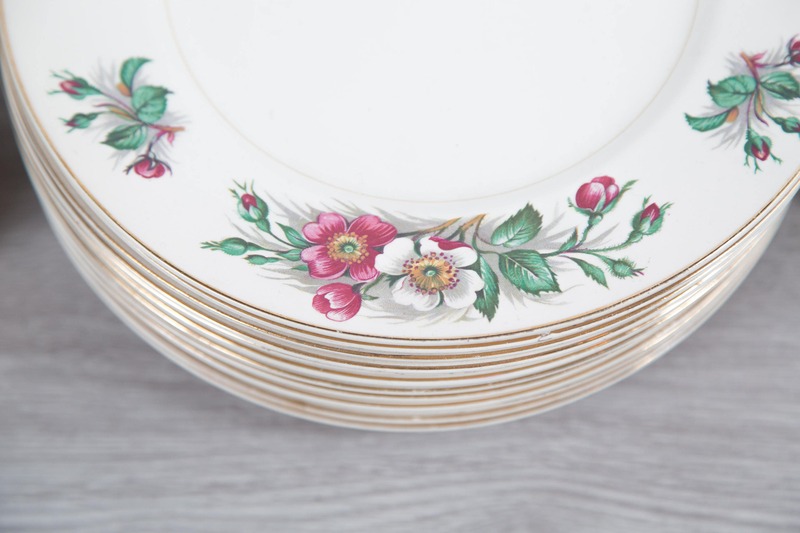 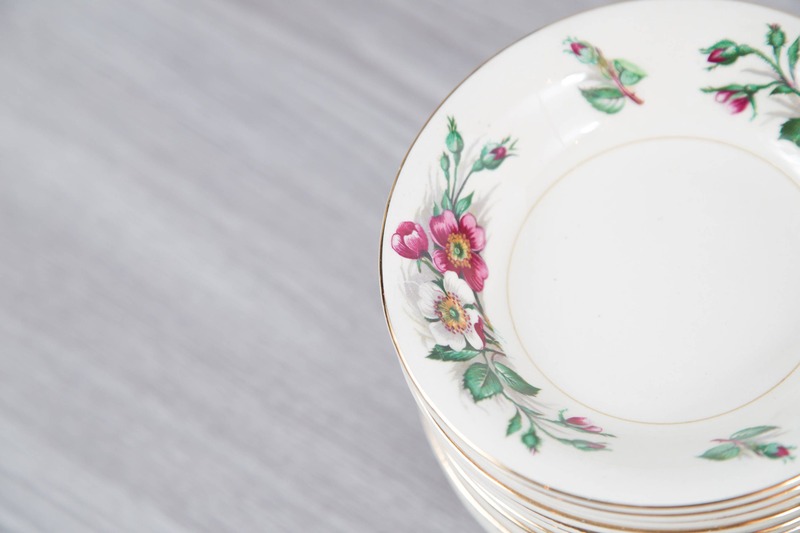 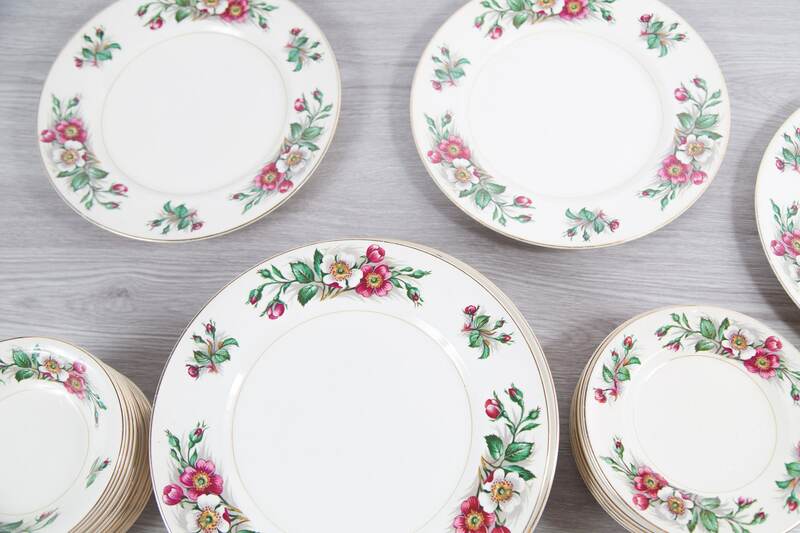 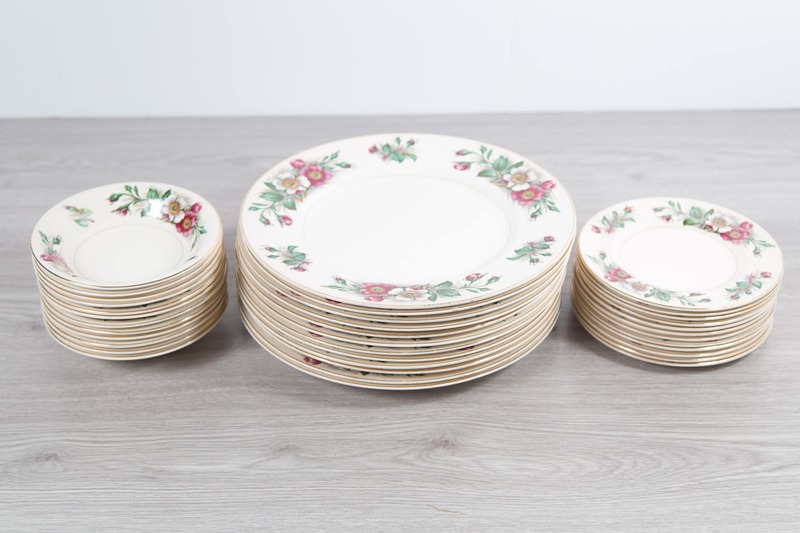 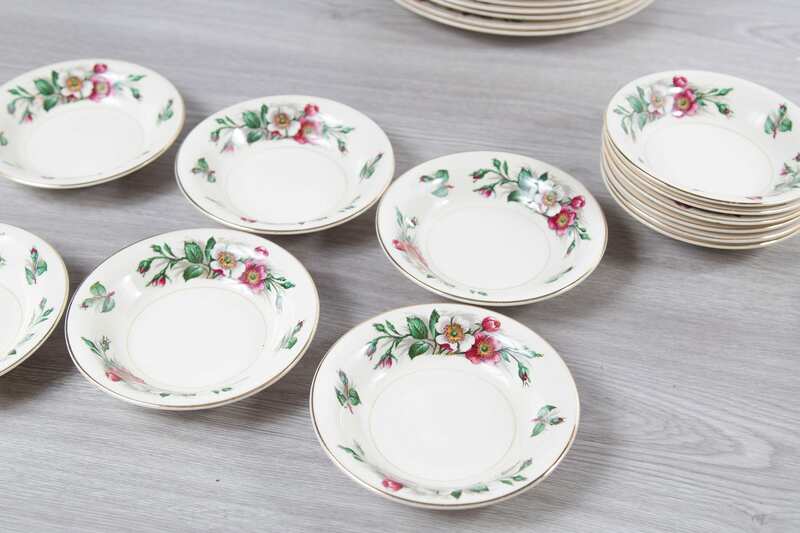 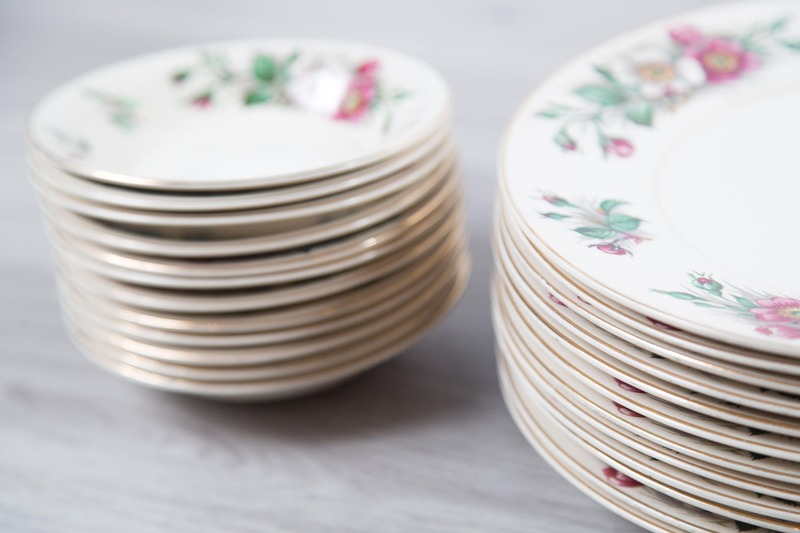 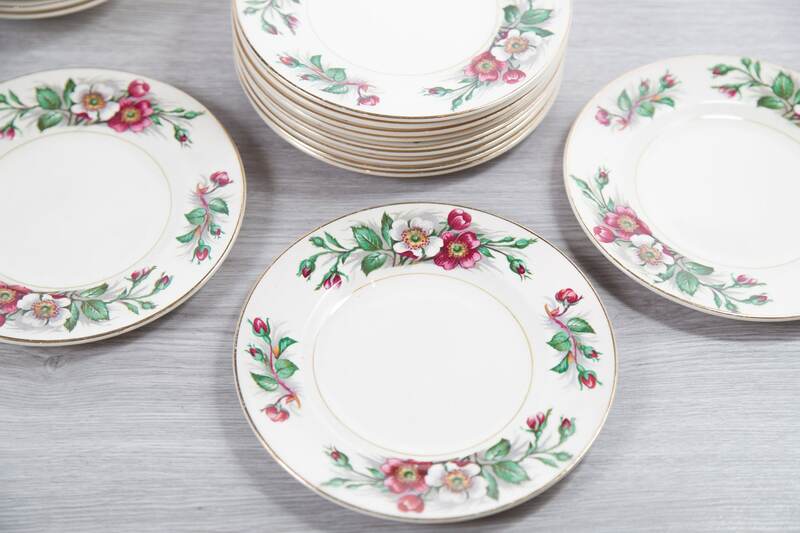 This is a fantastic 48 piece set of vintage of ornate pink and white flowers plates and bowls. 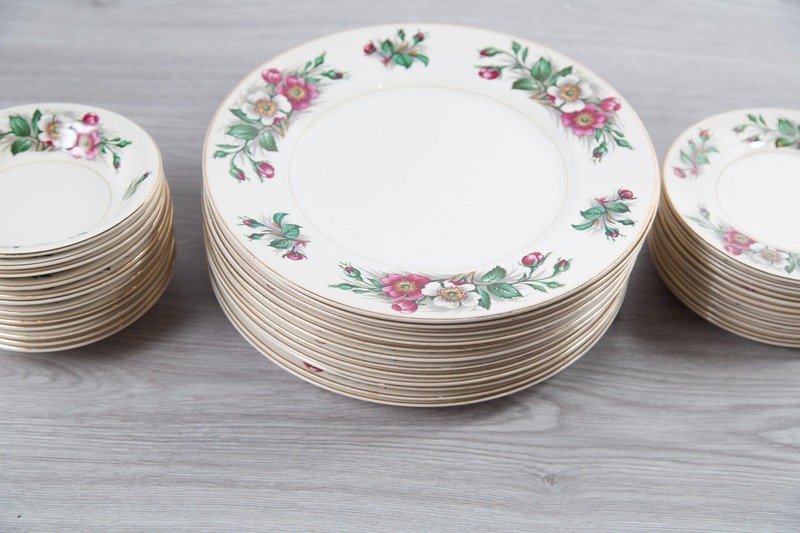 Includes: 12 small plates, 12 small bowls, and 12 dinner plates. 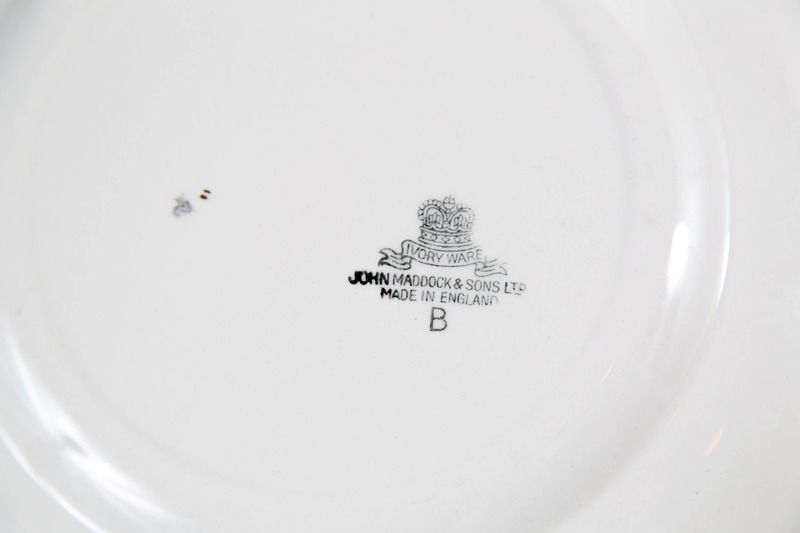 Marked "Ivory Ware - John Maddock and Sons Ltd. - Made in England"
Small plates: 6 inches diameter. 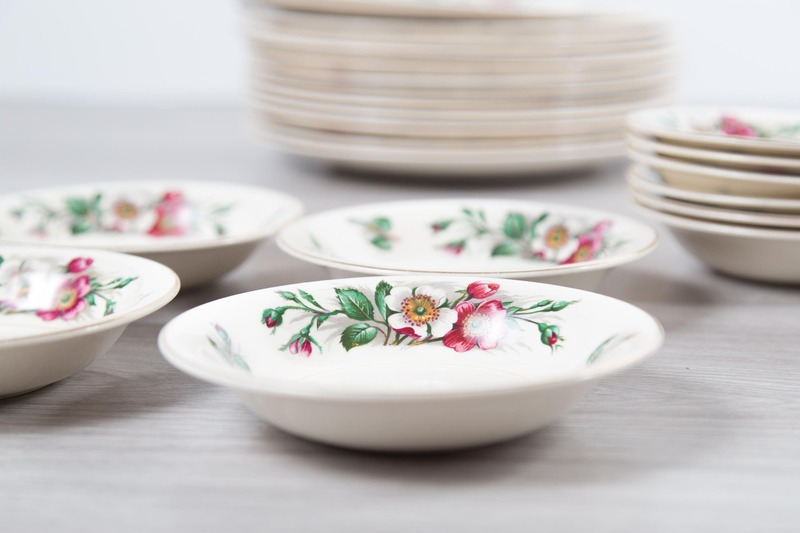 Bowls: 5.5 inches diameter, 1" height.